Bloating, flatulence, cramps, diarrhea, and fullness? You may have SIBO, an overgrowth of bacteria in your upper intestines. If so, some counterintuitive changes in your diet can help. Let’s explore the SIBO diet. Tired of a burning red face? Do discomfort and embarrassment interfere with your daily activities? 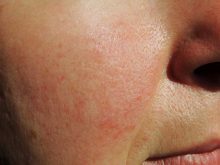 Try these rosacea natural treatment options to find relief. Could Your Digestive Problems be SIBO Symptoms? Is small intestinal bacterial overgrowth (SIBO) causing your gas, bloating, and abdominal pain? Get the facts on SIBO symptoms, SIBO treatment, and the best SIBO diet.